To understand how the wercker service can automate the development and deployment cycle, one can look at how Pivotal’s Cloud Foundry Solutions (PCFS) uses the technology as part of its system to get its new developers up and running quickly. Wercker coordinates a Docker stack of tools to run a virtual vending machine of cloud resources called Pivotal Elastic Zones (PEZ). PEZ gets employees up and running quickly. Team members can download the wercker Command Line Interface (CLI) and immediately access a development environment where they can spin up, test and deploy microservices — locally or in the cloud — using infrastructure-as-a-service, bare metal and other cloud resources. That stack includes Golang, Ruby, Python and Spring Framework. The team also uses wercker for automated compilation of training documentation instead of manually gathering various screenshots, slides, video and text. Using a simple YAML configuration, wercker enables developers to set up automated pipelines for building Docker containers with an aggregate of pass/fail steps in a set environment. It supports three types of pipelines: dev, build and a deploy. Deployment can be through the wercker platform or the CLI. Wercker, founded in 2012, has raised $7.9 million, most recently a $4.5 million Series A in January. CEO Micha Hernández van Leuffen explains that the company grew out his thesis at the University of California-San Francisco and work he was doing at an agency to automate processes. Chief Technology Officer Andy Smith, former co-founder of OpenStack, is the company’s co-founder. Wercker was part of the 2012 startup incubator program Rockstart Accelerator, based in Amsterdam. Wercker originally focused on LXC containers. “We got a lot of questions from users — Do you support Erlang? Do you support Scala? So it made sense for us to open up the platform and let people create their own provisioned LXC containers. This was all before Docker,” van Leuffen explained. “We also opened up the platform in terms of the pipelines. The pipelines are a set of tasks, build tasks or deploy tasks. We let users set up their own steps, so you can set up a Slack notification or a step that sets up your test. There’re all types of steps. The service then allows deployment to various cloud platforms, ranging from Heroku to AWS and Rackspace. It also added the Wercker YAML Viewer to Bitbucket in December. Wercker uses CoreOS as a Linux distribution, van Leuffen said, and now that CoreOS’es container runtime rkt is production-ready, wercker will support that as well. “We’re container agnostic. If another container format comes around, we’ll be happy to support that,” van Leuffen said. As part of its recent funding announcement, it also open sourced its CLI that allows developers to work with Docker containers on their laptops. Now an open source project on GitHub, the software runs on both Linux and OSX. The company’s offerings are currently available as cloud services though wercker is working an enterprise offering that will allow on-premise use as well. “We started out as a [Software-as-a-Service] product, and we’d like to offer even the enterprise product in a SaaS-y way, if you will, making the installation and setup process seamless,” van Leuffen said. 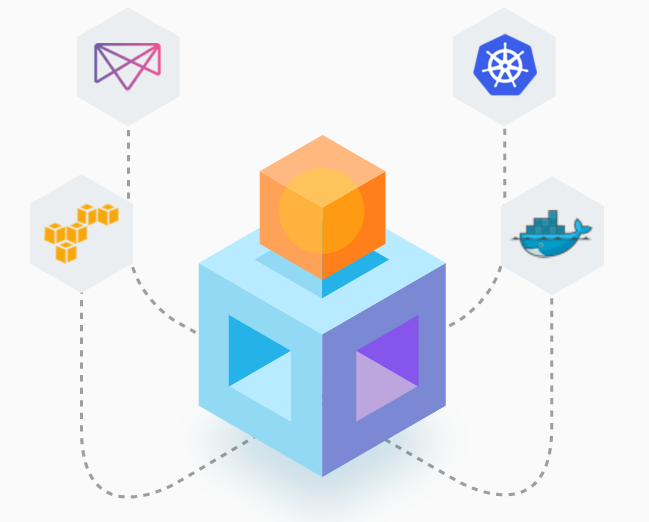 Wercker competes with the likes of Shippable, Drone and CloudBees, though van Leuffen said says some of the DevOps tools haven’t stepped into the Docker space to provide automation capabilities. “Some companies have pieced together certain functions rather than having one solution that automates all the tasks,” he said.